© Pat Middleton… To see picture captions, hold your cursor over photos. Recent landslides after rains of 9-11 inches have many of us reminiscing about past experiences of landslides, rockslides, and flooding along the Mississippi River. Below is my own memory from very similar flooding in 2007. Enter FLOOD in the Search button to bring up an interactive map that shows flooding at any moment along America’s major waterways as well as stats and Chronologies from previous years..
We are pleased to offer several interactive maps on greatriver.com…. Click on Blue Titles to move to the specific site, or just study the interactive map shown. 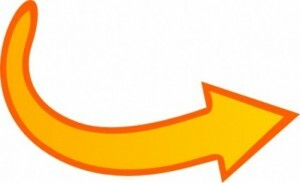 All maps are constantly updated to reflect real-time activity! Below is the USGS map that provides REAL TIME info on which Rivers in the US are cresting. The map below is accurate every day. Black Triangles indicate flood stage. Looking to compare stats with the Flood of 1993? CLICK HERE. The Upper Mississippi River Navigation Charts cover the Upper Mississippi River from the head of navigation at river mile 866 in Minneapolis, Minn., to the confluence with the Ohio River at Cairo, Ill. The navigable portions of the Minnesota and St. Croix Rivers are also included. The charts were last updated in 2011. 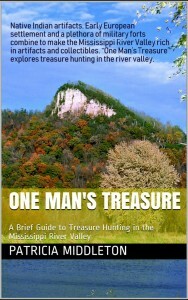 Click Here to DOWLOAD ENTIRE UPPER MISSISSIPPI RIVER CHART BOOK…. 142 MG Minneapolis/St. Paul to Cairo, IL 866 River Miles. Also the St. Croix and Minnesota Rivers. Carry it with you on your tablet or laptop computer! Click here for Lower Mississippi River Charts. Download entire book. Cairo, Illinois to the Gulf of Mexico. 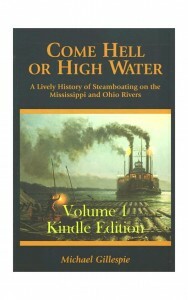 River Miles 953 to 0 at A.H.P. Click here for Illinois Waterway Charts. The Illinois Waterway Navigation Charts cover the Illinois Waterway from the confluence of the Illinois and Upper Mississippi Rivers to Lake Michigan at Chicago and Calumet Harbors. The charts have been updated in 2013. Click here for the USGS EARTHQUAKE HAZARD MAP. If you enjoy reading about the New Madrid Earthquakes of 1811-12 in Volume 3 of DISCOVER! America’s Great River Road, you will enjoy this interactive map of tremors around the US on a moment by moment basis! TODAY’s Earthquake Fact: The Mid-Atlantic Ridge appears above sea-level at Iceland. This offers scientists a natural laboratory for studying on land the processes also occurring along the submerged parts of a spreading ridge. Iceland is splitting along the spreading center between the North American and Eurasian Plates, as North America moves westward relative to Eurasia.